Perfectionism comes when we’re perfecting our craft but we’re doing it for somebody else, and we’re afraid that if we don’t do it perfectly, we’re not going to be accepted. 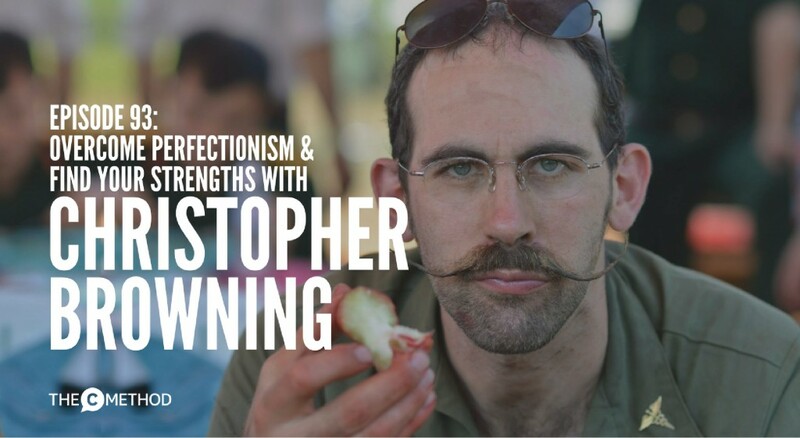 Be prepared to be blown away by life and business coach, Christopher Browning. He helps men build confidence in themselves and reach their full potential, whether it be in business, in their careers or in life. He also has a pretty sweet moustache. 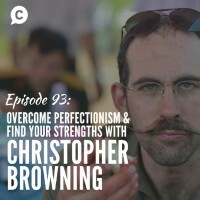 I really wanted to talk to Christopher about perfectionism, and how a frantic overachiever (like myself) can learn to overcome it. You may think that perfectionism is about spending hours agonising over your website font, or hitting a personal best at the gym, or delivering a flawless presentation, but it actually runs much deeper than that. Listen to this interview to get yourself in the right mindset for taking on new challenges in 2017! Oh, and also please vote for me in the Cast Away Australian Podcast Awards! He sees so many men who lack confidence in who they are and their work, and he wants to change that. Examples/symptoms of perfectionism – delay in execution of a project, and idea bouncing (can’t land on one thing) and failure to implement – ie getting to 90% of a project. It doesn’t necessarily look like perfectionism, but it is. We’re thinking: Will people like me? Am I enough? Normally we exhibit perfectionist tendencies in areas of our lives that we don’t feel naturally strong in, we feel like we have to overperform. BUT when we do this, we’re denying another thing in our life that we’re actually excellent at. Don’t worry if other people are ‘experts’ in other things. You can’t be one step ahead of them in these things, but you may one step ahead in another area. How to combat perfectionism when you’re worried about appearing not professional and polished.